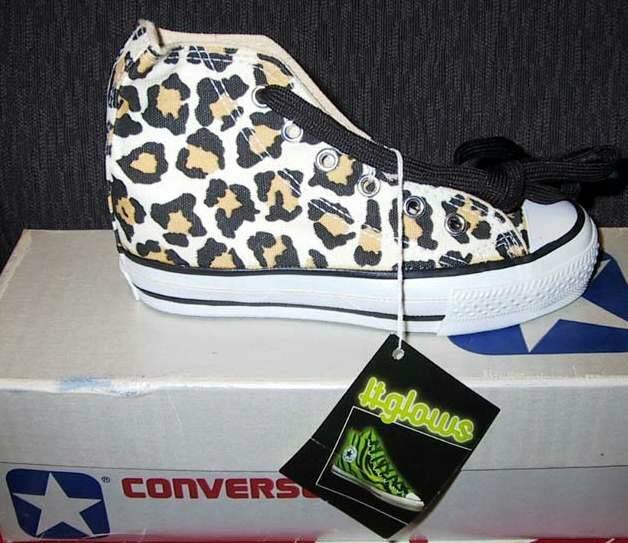 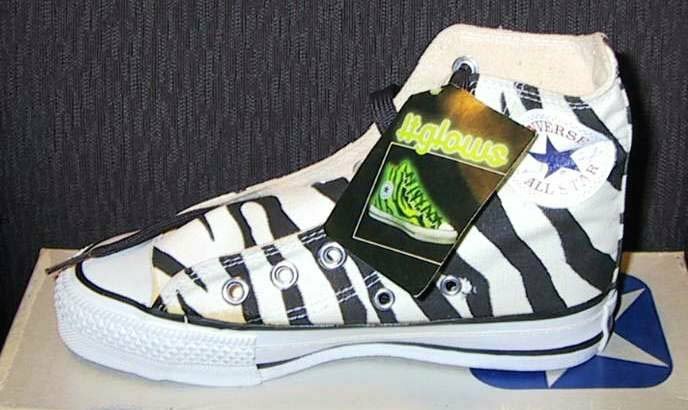 Photo gallery of high top and low cut chucks with animal print uppers. 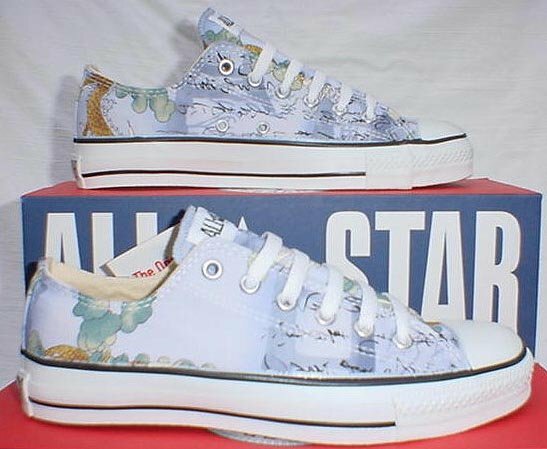 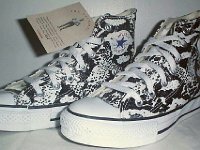 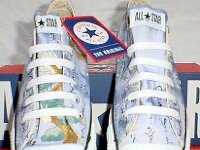 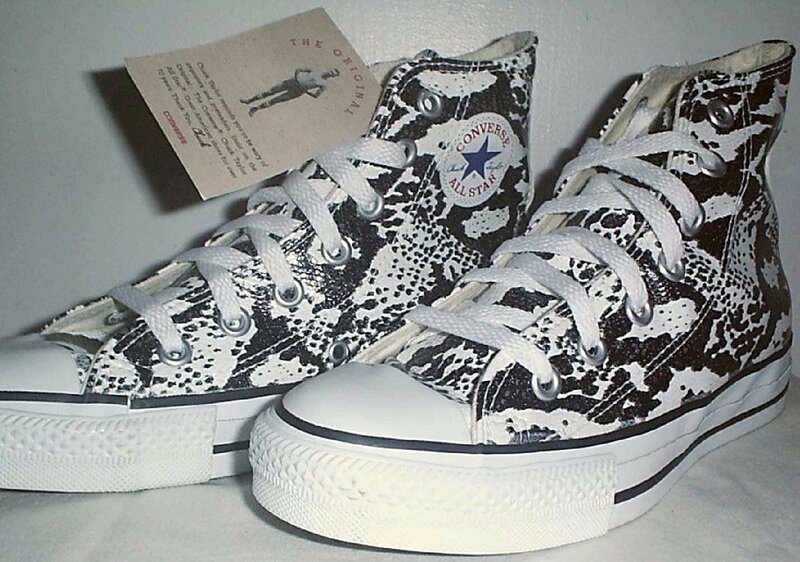 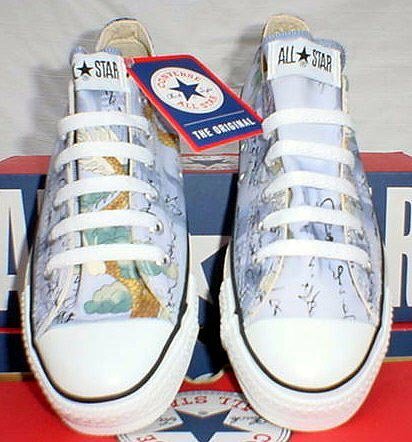 1 Chucks With Animal Print Uppers Snakeskin pattern high tops, showing partial inside patch and outside views. 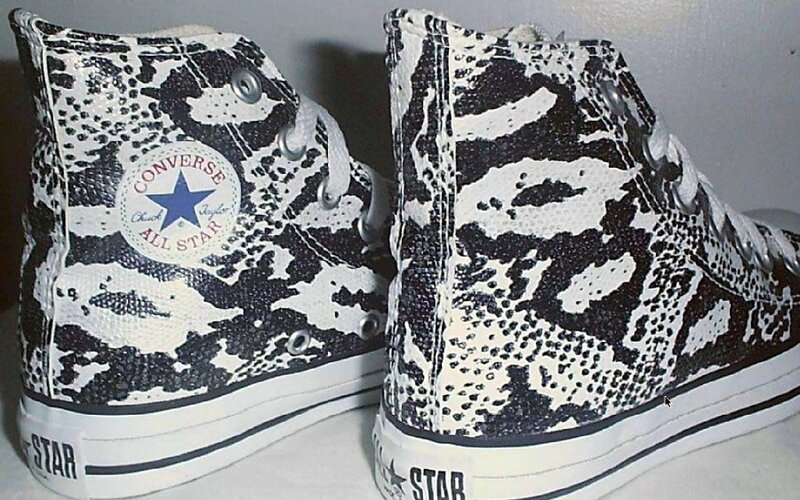 2 Chucks With Animal Print Uppers Brand new snakeskin pattern high tops, angled side view. 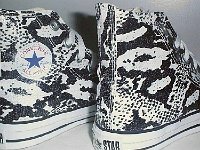 3 Chucks With Animal Print Uppers Snakeskin pattern high tops, outside view. 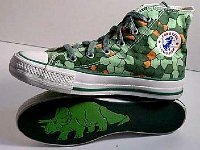 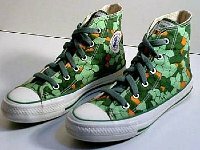 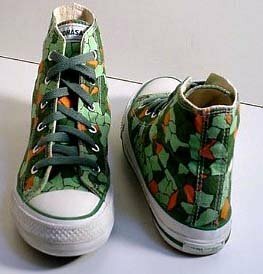 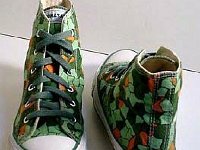 4 Chucks With Animal Print Uppers Conosaur (dinosaur) pattern high tops with olive green laces, angled top and side views. 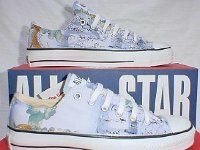 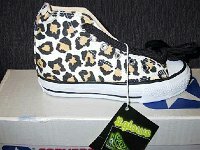 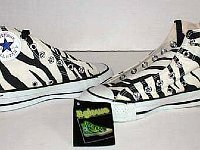 5 Chucks With Animal Print Uppers Conosaur (dinosaur) pattern high tops, front and rear views. 6 Chucks With Animal Print Uppers Conosaur high tops, inside patch and sole views. Note the stegasaurus on the sole. 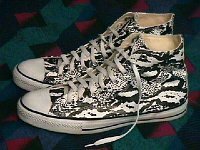 7 Chucks With Animal Print Uppers Dragon pattern low cuts, side views. 8 Chucks With Animal Print Uppers Dragon pattern low cuts, top view. 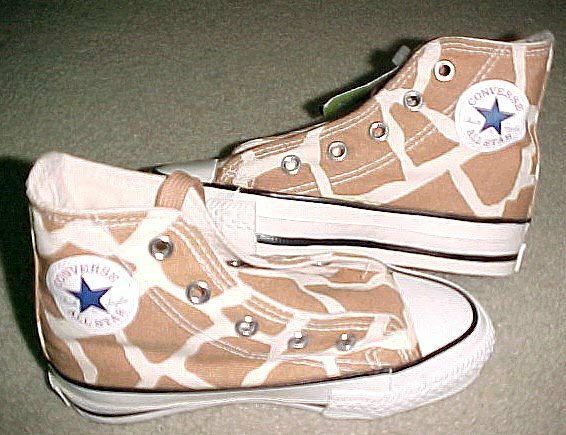 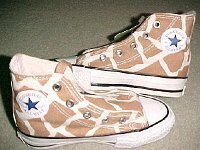 9 Chucks With Animal Print Uppers Giraffe pattern high tops, inside patch views. 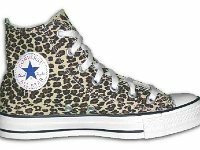 10 Chucks With Animal Print Uppers Leopard print high top that glows in the dark. 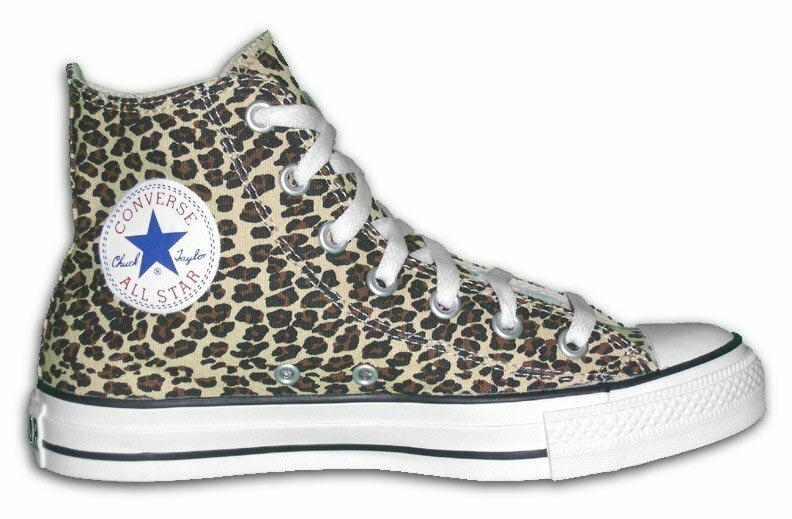 11 Chucks With Animal Print Uppers Inside patch view of a left leopard pattern high top. 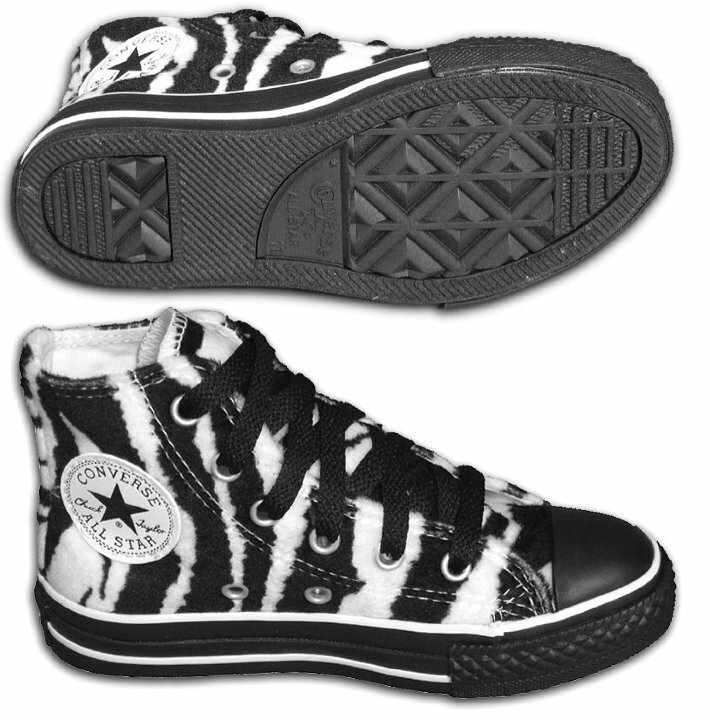 12 Chucks With Animal Print Uppers Zebra print high tops that glow in the dark, rear and inside patch view. 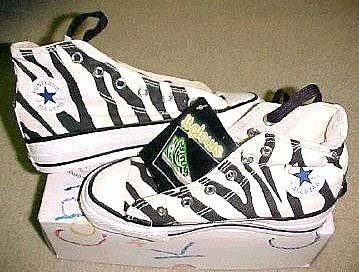 13 Chucks With Animal Print Uppers Glow in the dark zebra print high tops, inside patch views. 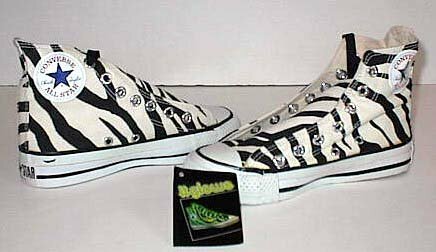 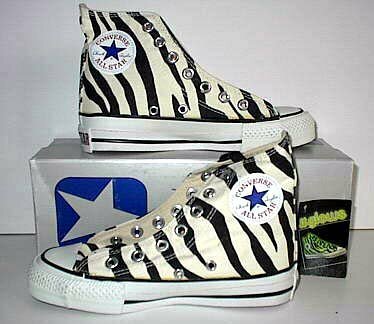 14 Chucks With Animal Print Uppers Zebra print high tops that glow in the dark, inside patch and top views. 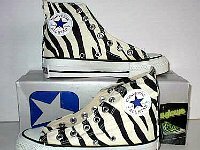 15 Chucks With Animal Print Uppers Zebra print glow in the dark high tops, side views. 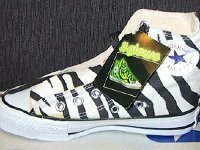 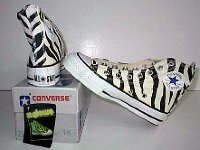 16 Chucks With Animal Print Uppers New zebra print glow in the dark high top, with tag. 17 Chucks With Animal Print Uppers Zebra pint high tops for kids.